One of America’s greatest pop culture icons is under attack by political correctness, as a major toy company is accused of killing a toy line for being too patriotic, too pro-military, and too pro-gun. If G.I. Joe action figures are difficult to find at your local toy store today, however, that’s because Hasbro has been slowly, and quietly, phasing out their G.I. Joe toy line, and fans insist it is part of a politically-correct, liberal conspiracy to keep the pro-military, pro-America toys out of the hands of America’s kids. The “killing off” of G.I. Joe actually began in 2014, which happened to be Joe’s 50th anniversary. Fans that year noted that Hasbro was releasing only a small number of G.I. Joe toys, and the company ended most promotional activities, including choosing not to attend the National G.I. Joe Collectors Convention, something they had appeared at for years. Since then, the toy line has been nearly non-existent. “My personal opinion…has been that Hasbro does ‘NOT’ think that “A Real American Hero” can sell, because it is not politically correct in the current U.S. environment. The brand eliminated ‘red, white, and blue’ from the logo and created a non-affiliated ‘global’ logo. They also made the team a unit of international military personnel. When Paramount turned G.I. 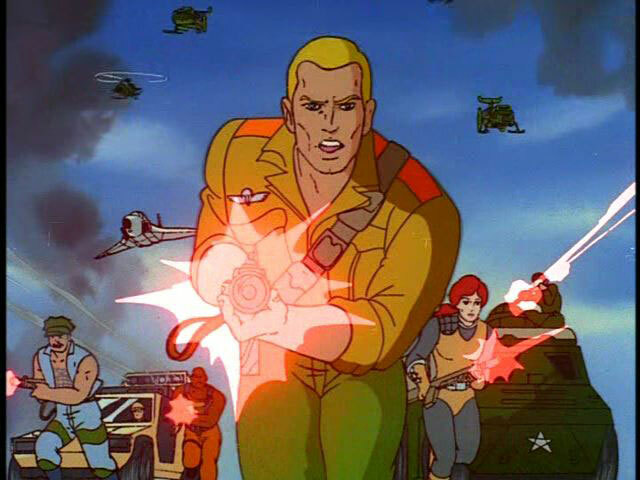 Joe into a film with The Rise of Cobra in 2009, Hasbro Studios produced it and employed the same PC characterization of the Joe team they tried with the toy line. Even though the film was based on the “Real American Hero” characters, the G.I. Joe team was no longer an American special mission force. Instead, a number of foreign actors were cast and G.I. Joe became an international force based in the Middle East, with “G.I. Joe” standing for “Global Integrated Joint Operating Entity.” You almost expect them to apologize for the evils of American imperialism and capitalism; the globalist, anti-American vibe is that strong in the film. Although it was widely panned by critics and fans (who hated the “globalizing” of G.I. Joe), the film did turn a profit. According to The-Movie-Times.com, The Rise of Cobra brought in $150 million from the U.S. box office, below its budget of $170 million, but a $151 million take from foreign box offices put it in the black. Which, of course, meant a sequel. For the 2013 sequel G.I. Joe: Retaliation, Hasbro Studios toned down the globalism and embraced a bit more of the homefront, casting popular American actors The Rock and Bruce Willis as the leads, and with a more character-driven plot involving the American President. Even with a smaller production budget than the first film ($130 million), Retaliation failed to break even, grossing about $122 million, but the film was a huge hit overseas, bringing in nearly a quarter of a billion dollars in foreign box office ticket sales. The world, it seems, still loves America and its actors. The failure of the G.I. Joe films to resonate with American audiences probably played a part in the toy line’s demise, and justified the PC rationale that pro-military toy lines have no place in today’s society. The idea that kids today won’t relate to G.I. Joe because of modern-day terrorists doesn’t hold water, as the toy line originally saw a resurgence in the midst of the rise of modern terrorism in the early 1980s, when the Palestinian Liberation Organization (P.L.O.) and Libya were responsible for attacks that killed a number of American citizens and soldiers. It should be noted that G.I. Joe seems to lose his patriotic side only when a Democrat is in the White House. After rising in popularity during the Reagan years, when Bill Clinton took office in the 1990s, the toy line lost the “Real American Hero” persona and stopped fighting terrorists. Instead, the Joe team took on different personas, including “Eco-Warriors” fighting to save the environment, “Dino Hunters” in search of T-Rexes, and even the “D.E.F.,” the Drug Elimination Force. Eventually, G.I Joe found its identity again during the George W. Bush years, but now it seems the Obama era has killed off “A Real American Hero” for good. PreviousRachel Doležal: As “Black” as she wants to be! !